After releasing its list of 30 semifinalists for this year's McDonald Award a month ago, the Minnesota Basketball Coaches Association unveiled 12 finalists on March 13. The finalists are: Courtney Brown Jr. of East Ridge; Jaeden King of Cretin-Derham Hall; Matthew Hurt of Rochester John Marshall; Noah Christensen of Breckenridge; Jack Middleton of Edina; Isaac Fink of Springfield; Robert Jones of Prior Lake; Antwan Kimmons of Tartan; Zeke Nnaji of Hopkins; David Roddy of Breck; Tyrell Terry of DeLaSalle; and Lakeville North’s Tyler Wahl. 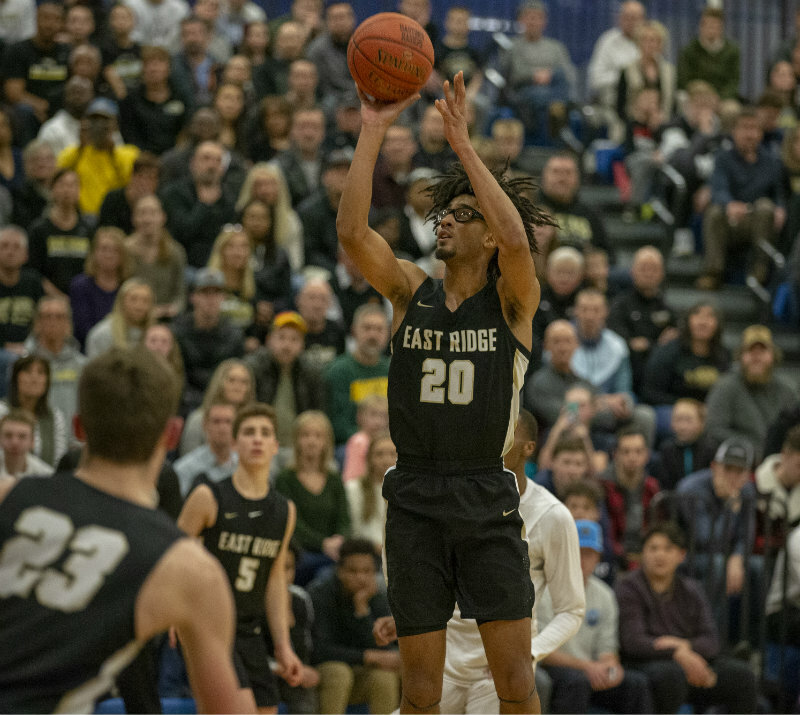 Brown has had the community of Woodbury abuzz, as he helped ease East Ridge past Cretin-Derham Hall 71-45 in the Class 4A, Section 4 final on March 14, leading the Raptors to their first state tournament. Brown, a 6-foot-6 forward committed to Wisconsin-Milwaukee, averages 15.6 points per game and had a 19-point performance in a 77-41 victory over crosstown rival Woodbury in the section quarterfinals. Cretin-Derham Hall, last year’s Class 4A champion, came up short in three losses to East Ridge this season, but guard Jaeden King was a pleasure to watch. Committed to Western Illinois, the 6-foot-6 Raider produced 20.9 points per game this season. His production received a nice bump after putting up 12.9 points a game as a junior, when his job was to compliment Daniel Oturu, who now plays at Minnesota. Rochester John Marshall’s season came to an end before it would have liked. Carried by Matthew Hurt, the Rockets were disassembled in the Class 4A, Section 1 finale by Lakeville North. Hurt put up a game-high 30 points in the 80-54 defeat on March 14, and he led the state in scoring throughout the season. A 6-foot-9 power forward and five-star recruit according to 247Sports, Hurt produced an astounding 953 total points this season (36.8 points per game). One of the most sought-after prospects in the nation, he also averaged 12.4 rebounds, 5.0 assists, 2.1 steals and 2.1 blocks per game as a senior. Hurt has yet to publicly announce where he intends to play collegiate basketball, though he’s stated he plans to play just one season in the NCAA before declaring for the NBA draft. The McDonald Award will be presented to the state’s top senior player later this month or in early April. It is named to honor former Chisholm boys’ basketball coach Bob McDonald, who tallied more than 1,000 coaching victories in a 59-year career. The McDonald Award, which was first presented to Apple Valley’s Tre Jones a season ago, is modeled after the Wooden Award, which is given annually to the top player in NCAA Division I men's and women’s basketball. View the table below to see more about the finalists.